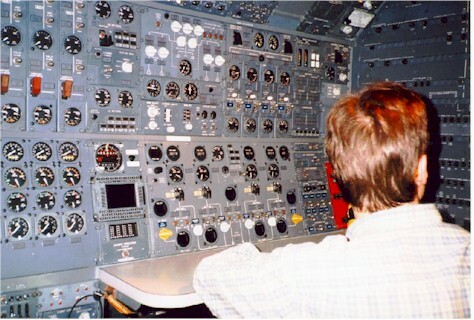 Cockpit computerization and cost cutting by the airlines have nearly eliminated them. At one time (and in this century) Singapore Airlines called their male flight attendants stewards. I think Flight Engineers and Navigators were one and the same. Didn't they used to have navigators also? And, of course, the flight attendants were all female and they were called stewardesses. The title implies that there were male stewards as well, but I don't think I ever encountered one.